A ceasarean section is a mode of delivery by which the baby is extracted via a surgical incision made on the abdomen. The procedure is done if vaginal delivery puts the baby or mother at risk. It can also be done upon request with no medical indication. However, the World Health Organisation recommends that it should be done on the basis of medical need. After a caesarean section, you may stay at the hospital for 3-5 days if there are no complications. 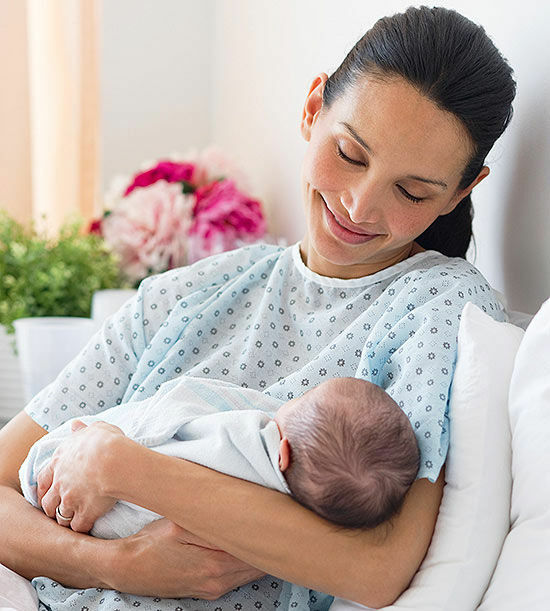 When you are discharged home you may get overwhelmed by taking care of the newborn, yourself, other children if any, your spouse and other people that may be under your care. Avoid straining by asking for help from these same people. For effective recovery, here are some recommendations. Avoid strenous activities. Avoid lifting anything heavier than your baby. Avoid reaching for items beyond your reach. If you have to cough or sneeze, hold your abdomen to protect the incision site. However, do not be tempted to always be on bedrest. Take a light walk to promote blood circulation and hence prevent blood clots. Oxytocin hormone, the hormone released during breastfeeding, promotes contraction of the uterus and therefore aids in preventing post partum hemorrhage. Moreover breast milk has all the nutrients that your baby needs for the first six months of life. Ensure that your positioning is comfortable while breastfeeding. You can use a side lying position or a sitting position. In the case of a sitting position, use a seat with a back rest, you can also use pillows on your lap to lift the baby to your breast. Eating a balanced diet after delivery is as important as when one is pregnant. Eat small but frequent portions of food. Include water and vegetables in your diet to prevent constipation. Proteins, Vitamin A, Vitamin C and Zinc are power foods that will help with healing of the incision site. To prevent infections, clean the incision site daily and always keep it dry. Wear loose clothing and cotton underwear. In case of pain, swelling, redness or pus drainage at the incision site, visit your health care provider immediately. Your health care provider will recommend that you go back to the hospital for a postnatal check up. This visit is vital as the incision site will be checked as well as the baby. However, if you notice any of these signs (or any other abnormal sign), do not wait for your clinic date but go back to the hospital immediately. Pain, swelling, redness, pus or any other fluid draining from the incision site. In conclusion, recovery after a caesarean section takes longer than after a vaginal delivery. For quick recovery, take adequate rest, avoid strenuous activities, eat a balanced diet, breastfeed and prevent infection at the incision site. In case of any abnormal signs, visit your health care provider immediately.